Shimmering crystalline vibrations are bestowed upon you from the core of our beings; we are the Crystalline Beings from the Crystalline Kingdom on the inner planes. We exist within all that is the Creator in a similar way to the essence of creation; we seek to magnify the Creator while ensuring the greater download of the Creator into all. Our purpose is to demonstrate to you the purity, truth, essence and expansiveness of your sacred existence, while also demonstrating supreme harmony and harmonization with the Creator. 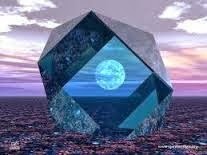 We are the spiritual essence of that download and it is embodied within all physical crystals on the Earth. 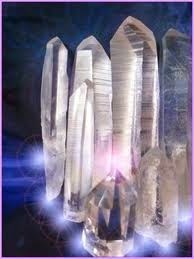 We, the Crystalline Beings, come forth to communicate and connect with you now as our energy signifies a powerful shift in your awakening and the spiritual evolution of humanity. At this time the Crystalline vibration is anchoring to magnify all that you are, hold onto and emanate at this time. We are the power being placed behind you to accelerate your physical, emotional, mental bodies and realities. Everything you are becomes heightened, more available to you and visible. When one exists from a place of pure love, reacting and expressing from this core then our magnification acts as a powerful surge accelerating you into a state of greater harmony with yourself and the Creator. If one does not exist from a space of pure love then our empowerment will cause a deep upheaval of all which doesn’t align with love. Any energy misaligned with love will be brought to the surface to be recognized more fully offering you the option to choose whether you wish for these energies to be present in your creation of your reality of love. The purest love of your being will also be magnified demonstrating to you the states of sacred bliss you have the ability to maintain and exist as through all aspects of your reality. This process of crystalline empowerment may create a feeling of unbalance as you move from states of bliss and love to that of lower vibrational emotions. Everything within you is coming to the surface, it is your divine purpose to bring all that is the Creator to the surface, to express and expand the vibrations of the Creator. Your reality reminds you of this each day as you move back and forth through an inner and outer reality. One of the purposes of your existence is to align your inner and outer reality so balance, love and harmony of the same frequency are experienced. It is for you to discover the divine subtle ability to align your inner reality and self with the harmonious energy of the Creator while fully expressing this into your outer reality. You are already aware of this magical process and achieve it with every moment of your reality and yet there is a need for conscious awareness of the process so you can consciously access and consciously express the divine. Rather than accessing a high vibration which diminishes as you merge it with your reality there is need to empower that vibration so it amplifies in power and frequency as it integrates into your reality. We, the Crystalline Beings are present to support this process encouraging you to live a more consciously Creator-attuned Reality. Do not fear nor become disillusioned by the seesaw nature of your emotions, vibration or mind, simply rejoice in the awareness that the Creator is coming to the surface and you are becoming more equipped in bringing the Creator to the surface. It also symbolizes that you are remembering your eternal infinity with the Creator consciously bringing forth the Creator for you to view. In many ways you are always projecting the Creator onto a screen for you to acknowledge and see, akin to painting a portrait of the Creator. In the past this portrait may have been tainted with lower vibrations and emotions, now you can paint a portrait with truth, accessing supreme frequencies. As you express the Creator so you become the Creator. Our magnification will mean that your manifestation skills are doubled in power and your realisation enhanced. This may denote that many energies from the inner planes, such as Ascended Masters, Waves of Ascension from the Creator or Cosmic Shifts will wish to connect and co-create with you. Their energies will flow to you to be merged and transmitted through your being. This is a wonderful gift as it allows you to remember the Creator more fully, be of service and enhance your awareness of the inner planes. Downloading and co-creating with the inner planes signifies a major step of evolution within your ascension allowing for continued expansion to take place. 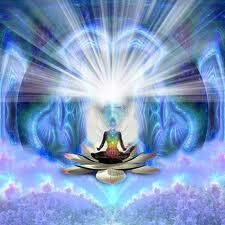 As you further your co-creation with the inner planes you create yourself as a bridge of light. The more you choose to allow to flow through you from the Creator, the more will be drawn to be downloaded. Thus all that you are expands as you evolve into your divine state. We encourage you to be aware of the energies and beings from the inner planes wishing to co-create with you and anchor energy through you, know that this is a powerful service you can embody and yet you have the option to accept or decline. When you are consciously aware you are in your power and aligned with your inner guidance. Know however that these energies are filtered through your soul and always carry an aspect of your soul energy. As the Crystalline Kingdom we access the perfection of the Creator demonstrating it can be brought into matter and physical form. This isn’t perfection as you know it, rather the excellence of the Creator. In order to recognize the perfection of the Creator there is a need to shift the perspective of your mind. 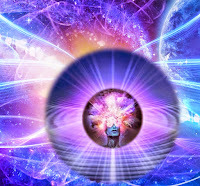 This can be achieved with our assistance for we can download our Crystalline light into your mind and mental body moving the molecular structure of information within your mind and mental body into harmony to be more easily accessed. Then you will be able to recognize the thoughts you wish to discard and you will create more space and expansion within your mind which allows for the perfection of the Creator to be contemplated. Please do not be fearful if you feel your mind becoming blank or information within your mind being unavailable to you, this is because space and expansion is being created within your mind so you may recognise the perfection of the Creator with precision. Simply call upon us. Know that you are preparing yourself to live a reality of love, to do so is such a precious experience which has only be experienced by certain individuals upon the Earth. You are preparing yourself to support all of humanity in living a reality of love. Every step you take in your spiritual evolution enhances the foundation being formed for humanity to ascend as well. The magnificent and potential of your being is endless; you are divine in matter and spirit. 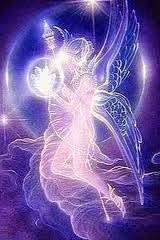 We are present to amplify your divinity, to soothe and smooth your journey of accessing your divinity. Call upon us, let us be present within your reality as our physical and energetic forms, you will notice the impact our expression creates within your reality.